Preview: Mumbai City FC will aim to keep alive their slim chances of entering the semi-finals when they take on NorthEast United FC in an Indian Super League (ISL) tie in Mumbai on Thursday. Mumbai City, who topped the league stage last season, are placed seventh at the moment with 20 points from 15 matches. NorthEast United are already out of the race for the top four spots. They are second from the bottom in the 10-team table with 11 points from 16 matches. Mumbai City can reach a maximum of 29 points, provided they win their remaining three matches. Mathematically, that should be enough for them to qualify, if others above them like FC Goa, Kerala Blasters FC, Jamshedpur FC and Chennaiyin FC all drop points at some stage. It's a possibility and Mumbai City are keen to play their role well, starting with the clash against NorthEast United at the Mumbai Football Arena here. "It's good to be alive. We come here knowing that we have a chance and that we have to play better to try and win tomorrow against a team who have played well but didn't have the luck to get better results. 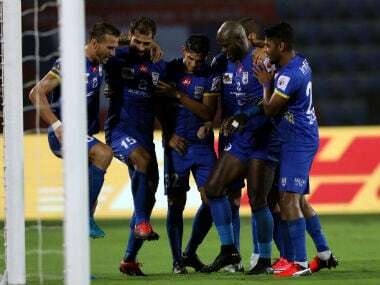 I also hope that tomorrow, finally, we can win a game at home which for us, besides the importance to continue the fight, should be a good present for our fans," Mumbai City coach Alexandre Guimaraes said. 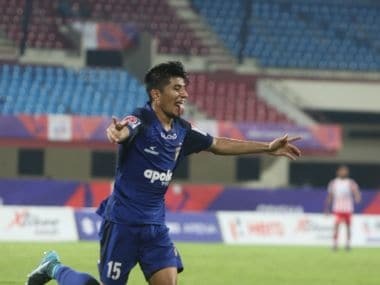 Mumbai City have lost four successive matches at home and after successive losses against Jamshedpur FC and FC Pune City, it seemed as if they had bid their chances goodbye. Their fortunes changed after an away win against ATK in the last game which kept them alive. "The pressure will be higher if we coaches don't see that our team is playing well, or the players are not doing what we ask them to do. In my case, I would be much more worried," Guimaraes said. Regardless of what happens till the end of the league phase, NorthEast United will finish among the bottom three. 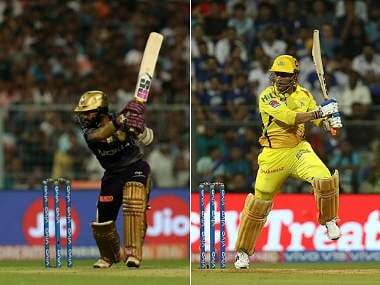 They can reach a maximum of 17 points, which won't be enough to climb higher up the ladder since seventh-placed Mumbai City are already on 20. NorthEast United though will want to avoid finishing at the bottom like the inaugural edition in 2014. "It's difficult to prepare for a game where we cannot qualify. Difficult to motivate but at the same time, we didn't have issues regarding that," their assistant coach Elco Schattorie said. The bigger problem for NorthEast United is injuries with several players set to miss the game. Schattorie said injured striker Marcinho is "definitely not playing" while there are question marks over the fitness of central defenders Jose Goncalves and Sambinha, besides Holicharan Narzary.